← Ladislav Nemecek – memorial plaque unveiled 31.3.2018. * 07.10.1913., Bánov, Uherské Hradiště, Czechoslovakia. I am a member of the RAF Association’s Women’s Royal Air Force Branch. 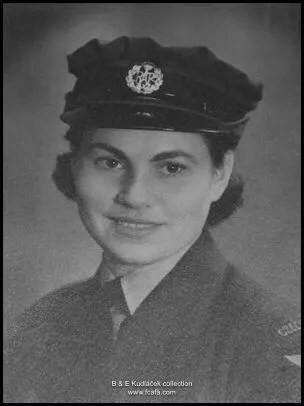 I thought might be interested to know that Andela’s name has been included in our Roll of Honour, and will also be on the wreath we are laying at the Cenotaph in November. To je mi velmi líto! Letošní rok je plný odchodů nenahraditelných lidí.